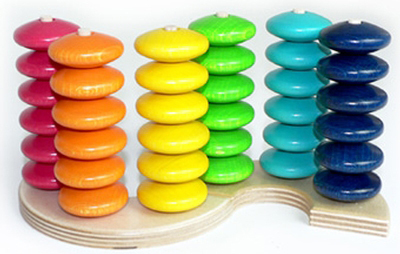 Hess-Spielzeug wooden toys. Hard to say, easy to play! Hands up if you love wooden toys as much as we do, if you have both arms waving, you’re in for a treat today! German brand Hess-Spielzeug knows wooden toys like no other – creating a range of toys suitable from as early as those first few days of a tiny newborn to early childhood and beyond. Hess-Spielzeug use high quality European wood such as beech and maple from renewable resources to create these gorgeous and handmade toys. All paints and stains are non-toxic, so there’s no need to panic should your babe’s mouth come in contact with the toy. For the newbies of the family we love the Kim and Bear pram strings. Magnificent bright beads, bells and rings dance about with the pram movement, perfect for entertaining a baby while out and about. A fabulous gift and great for littlies are these Hess-Spielzeug rattles. The interlocking rings of the Motorik Rattle (pictured top) are not only interesting to the eye but make a charming sound when waved about. 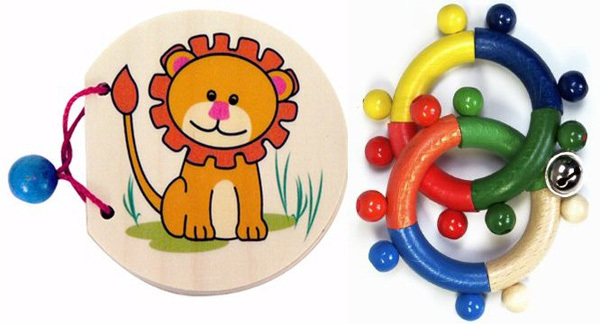 Smaller babies are sure to love the smooth shapes of the Hedgehog and Elephant rattles. The Zoo Animal wooden book (pictured top) is a beautiful way to introduce books to little ones and shows off an impressive menagerie including a zebra, bear and chameleon. 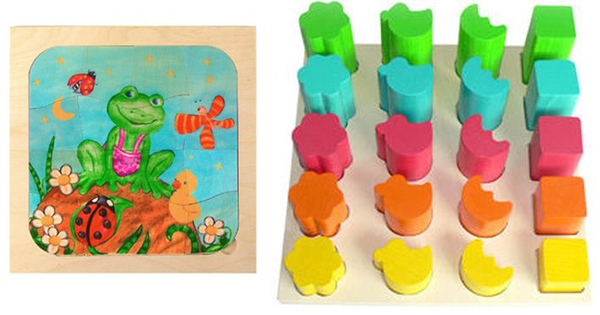 Older children who enjoy problem solving will delight in piecing together the Frog Puzzle and then there is the Shape Sorter – excellent for developing skills – and the magnificent Toy Rainbow longs to be sorted and stacked day in, day out. For details on where to buy Hess-Spielzeug toys, contact their Australian distributor BeesKnees 4 Kids to find a store near you.